This is the third year in a row that I have made this purchase. 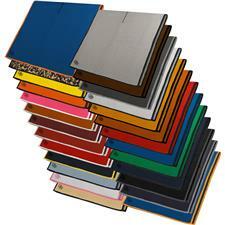 Prior to this, and for years, I had purchased three dozen (to average down the shipping cost) when my supply got low. One cannot beat the price for Titleist, and the service and ease of ordering has been flawless. I like the imprint, usually done in red for easier identification, and instead of name or message, I put a line of x’s on either side of my initials. Makes a neat and easily seen, unique identifier. 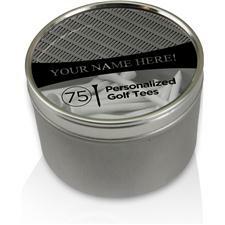 I am old enough that I surely do not receive the full benefit of the ProV1, but I have occasionally tried other “senior” balls and I can’t see a benefit in distance and/or direction, so I stick with the ball that feels good to me. Play Golf! 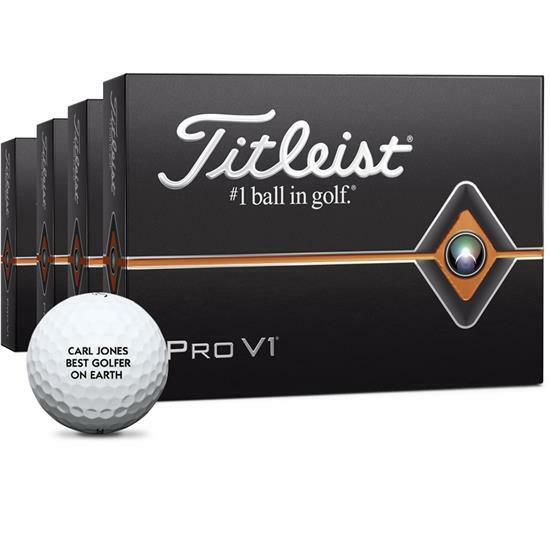 Best deal on Pro V1!! A year ago I asked my nephew , a teaching Pro in Boise, ID, for the best deal on Pro V1's? He immediately answered the "buy 3 get 1 free" deal on golfballs.com, of course!! I did it then, including the personalization & received my order for this year! I'm always watching ebay & our local golf shops for deals & they have never come up with this year's ball for even close to this amount! Thank you, guys! Are these the new 2019 balls or previous gen stock? 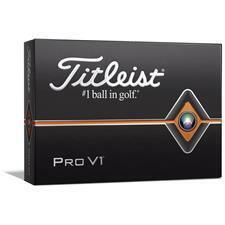 These are the newest generation/model of the Pro V1 and Pro V1x golf balls offered in this deal. 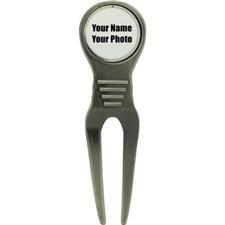 How can I personalize this with my company logo along with a 3 word company mantra "Here To Serve"
Only text personalization can be added for this promotion.